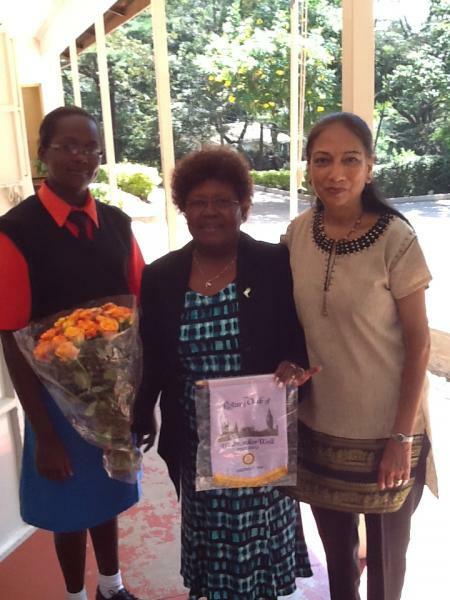 In 2012, the Rotary Club of Westminster West Sponsored a Girl Student for the Entire Duration of Her Four Year Secondary Education at the Starehe Girls' Centre in Nairboi, Kenya. She Completed her Secondary Education in December 2015. 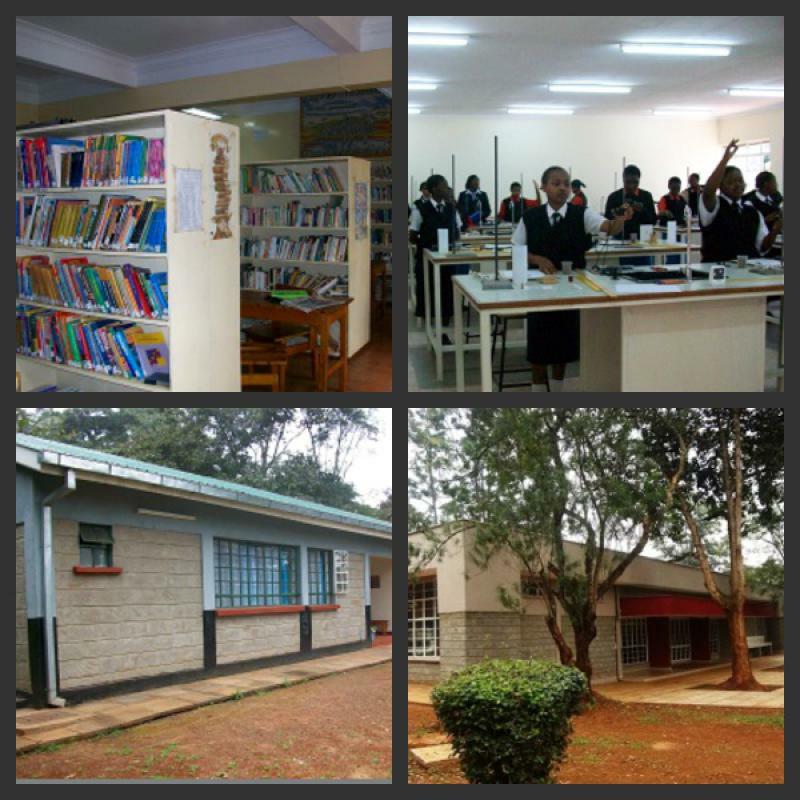 The Starehe Girls' School is located in the outskirts of Nairobi in Kenya. It was founded by Dr Geoffrey Griffin from the UK. The school began operating in 2005 and was modeled after the Starehe Boys' School which was opened in 1959. 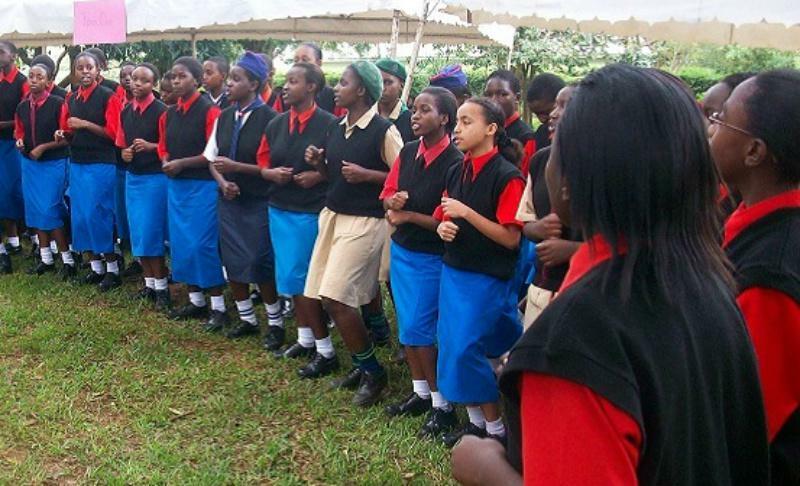 The Starehe Girls' School takes in the best applicants from all economic backgrounds. 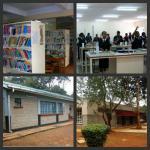 However it also welcomes some of the brightest but most disadvantaged girls from across Kenya. 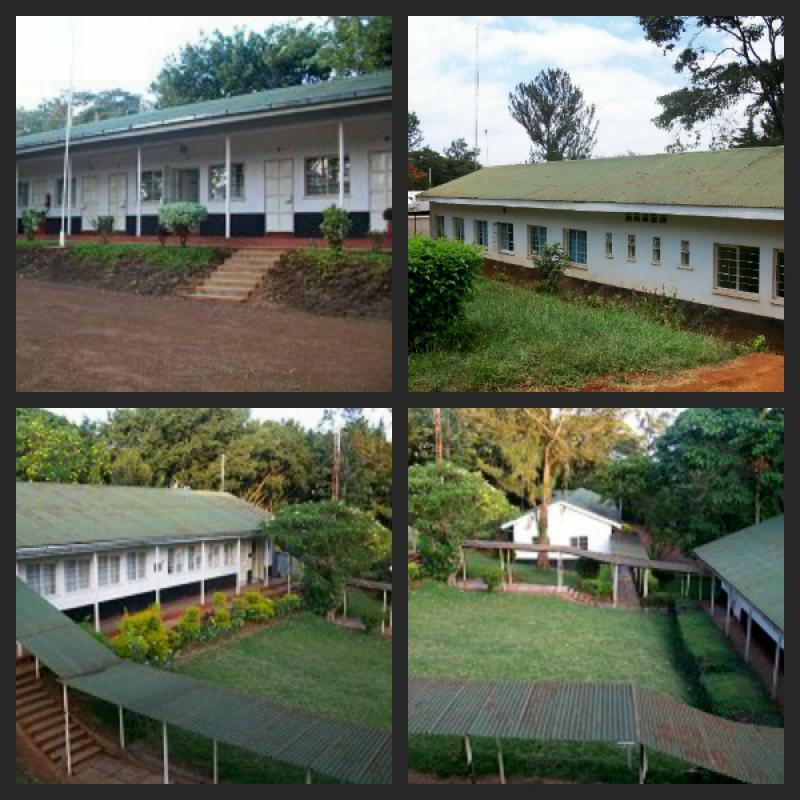 The Centre is a National Boarding School which has over the years been improving its infrastructure and facilities by building new classrooms, laboratories, dormitories, a dispensary, a library, a dining hall. 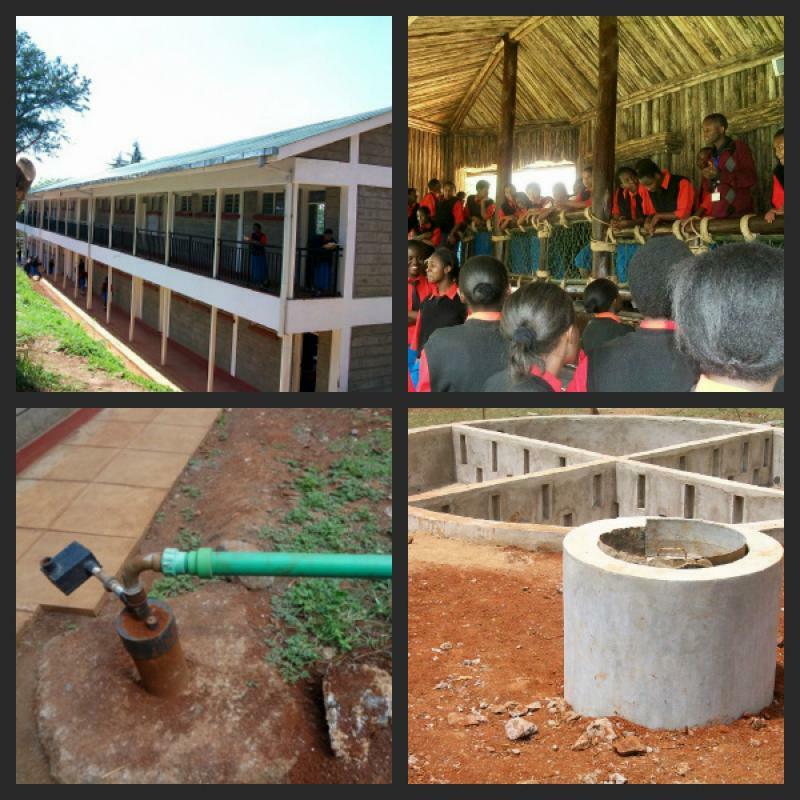 It also has a borehole to provide water and a bio gas digester. 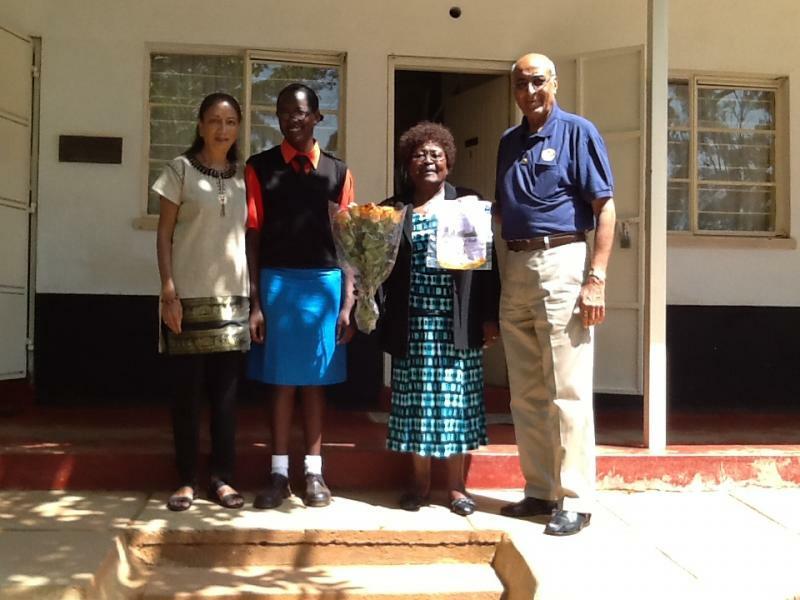 In the Rotary Year 2010-11, during his first tenure as President of the Westminster West Rotary Club, President Girish Raval was approached by Mrs Sheila Verma at a Kenya Society function to seek the support for the sponsorship of a student at the Starehe Centre. Mrs Verma was invited to speak at the Club's luncheon and the Club resolved to sponsor a disadvantaged student for the duration of her secondary education. The Club held an International Evening which was a fund raising event at 6 York Gate and raised two thousand pounds (£2,000) which was sufficient to pay for a student to complete fours years of secondary education at the Starehe Girls' Centre. There was a slight delay in starting this project as another person had taken over Mrs Verma's role and the Club was unable to proceed until contact was re-established during the tenure of President Sanjeev Phadke in the following 2011-12 Rotary Year. 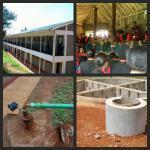 Past President Sanjeev Phadke contacted the Starehe Centre and arranged for the funds to be transferred to them. 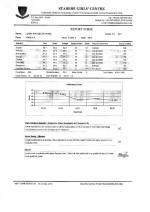 Since the Academic Year 2012, the Club has been receiving regular reports of the Academic Progress of the student. There are three academic terms each year and at the end of each term the students have examinations. 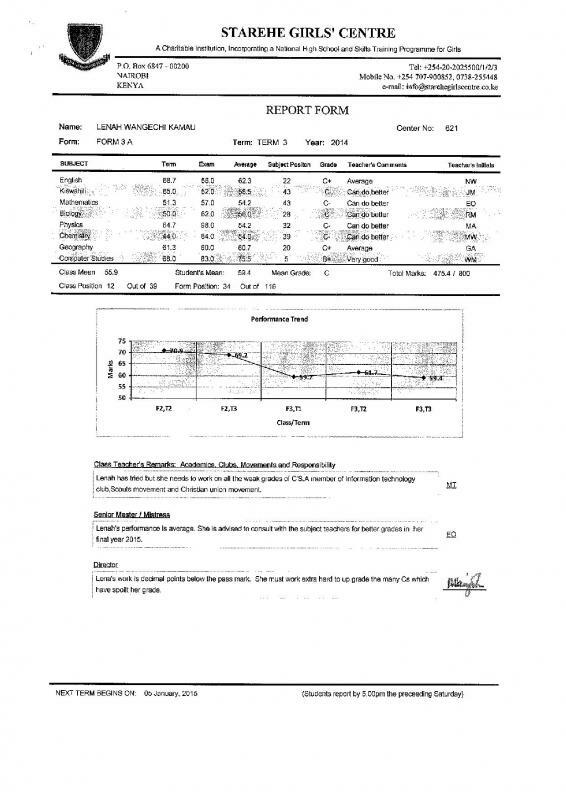 The Centre sends the Club a copy of the report card at the end of each term. 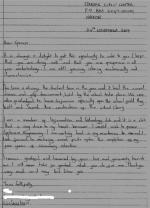 The report card is also accompanied by a letter from the sponsored student and this letter keeps the Club appraised of the student's progress in her own words. 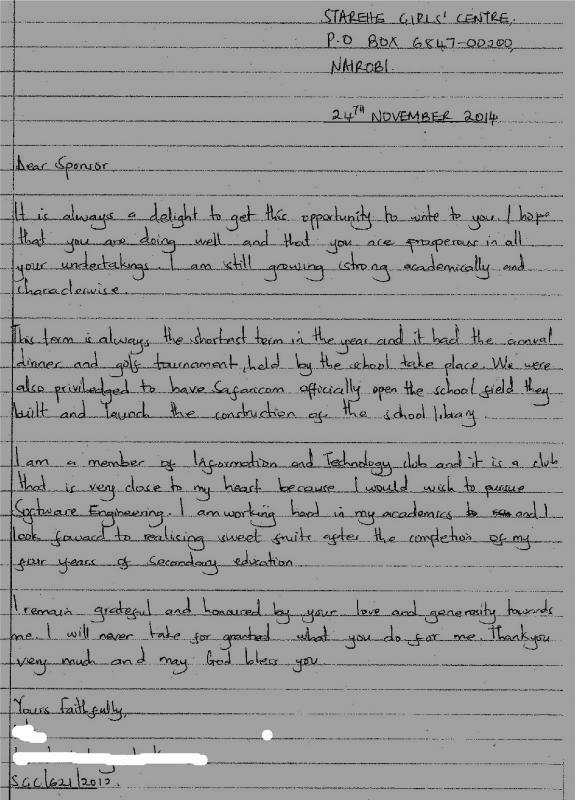 The young lady has since progressed to Form 4A in the 2015 academic year - the top class in the form year. This was also the final year of her secondary education which she has now completed as of December 2015. The members of the Rotary Club of Westminster West are very proud of the academic progress of their sponsored student and have followed her academic achievements with great interest.